Comet Studios Real Estate Development Services include the full spectrum of feasibility studies, project analysis, project programming, land acquisition, master planning, project architecture, well-being lifestyle programing, land development, infrastructure construction management, residential & commercial development, marketing, real estate consulting, real estate sales and project management for eco-community and eco-resort projects of various sizes. Comet Studios works closely with our consortium affiliate companies and consultants to provide an appropriate interdisciplinary professional team, custom tailored for each project. For some of our Clients we provide a full spectrum of services. For others we provide strategic support only for specific aspects of a development project. In every case we strive to provide what is necessary to best serve our Client’s needs. Our affiliate, Kachina Mountain Realty, provides real estate sales and consulting services for our development projects. 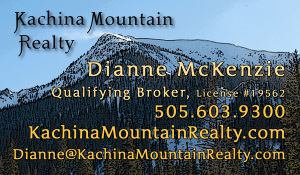 Our sales program director, Dianne McKenzie, is a licensed New Mexico real estate Qualifying Broker for Kachina Mountain Realty & an accredited ACRE® real estate consultant. Dianne offers a very valuable and dynamic expertise resulting from her professional experience as a business entrepreneur, web architect, marketing specialist and real estate qualifying broker. 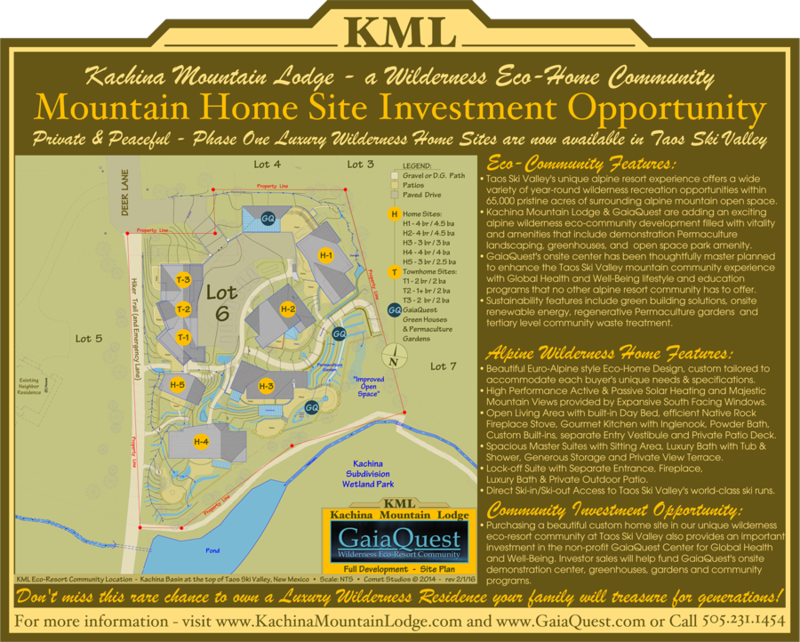 (KML) project has been thoughtfully master planned with three phases, including first phase development of five Euro-alpine Wilderness Homes followed by future phase development of a three-unit residential Wilderness Townhomes and a unique greenhouse that feels like part of ML’s landscape garden. Each wilderness residence possesses a distinct character that welcomes the natural warmth of a sunny south exposure and breathtaking mountain views through generous passive solar curtain wall glass. 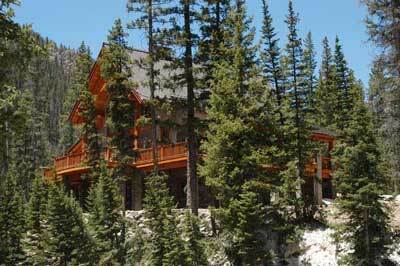 Architecturally designed to be hand-hewn and sturdy, ML’s authentic euro-alpine wilderness residences contain many sustainability features and the timeless qualities of whimsy, elegance, permanence and fascinating details. 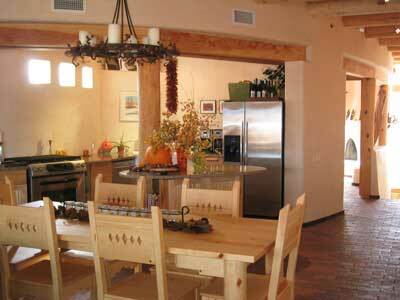 Prospect land uses include greenhouse-grown herbs & produce, and a medicinal plant distillery. John Halley of Comet Studios has been instrumental in developing a comprehensive Eco-Community Master Plan for the Kachina Basin area of Taos Ski Valley. As part of this process, Taos Ski Valley’s Planning and Zoning Commission directed Village staff to work with property owners on the development of a village wide Master Plan that Comet Studios has also been involved with. By promoting appropriate mixed-use commercial development, realistic project phasing and a logical extension of Village utilities, this plan will ultimately offer many benefits to local property owners and the Village of Taos Ski Valley community. John Halley was key consultant in the negotiations with the Aldea LLC. 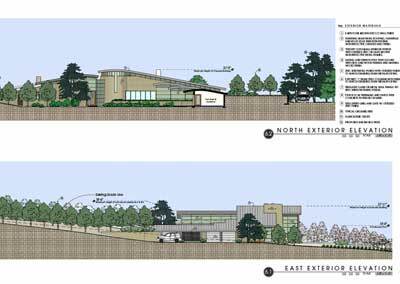 & Arroyo Verde in successfully implementing a development plan & purchase for the remaining Live/Work lofts & Hotel site around the Aldea Plaza. 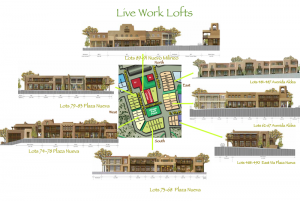 The LIVE/WORK LOFTS 74 & 76 are now offered for sale as a very unique opportunity to purchase and occupy Aldea’s keystone restaurant property, located directly on the premiere west side of Aldea’s commercial plaza. Designed, developed and former owner of Lofts 74,75, & 76. Comet Studios also designed Lofts 77 & 78. Located in a New Urbanist Village, Aldea de Santa Fe, are 5 unique Live/Work Lofts nestled on the sunset side of the plaza. 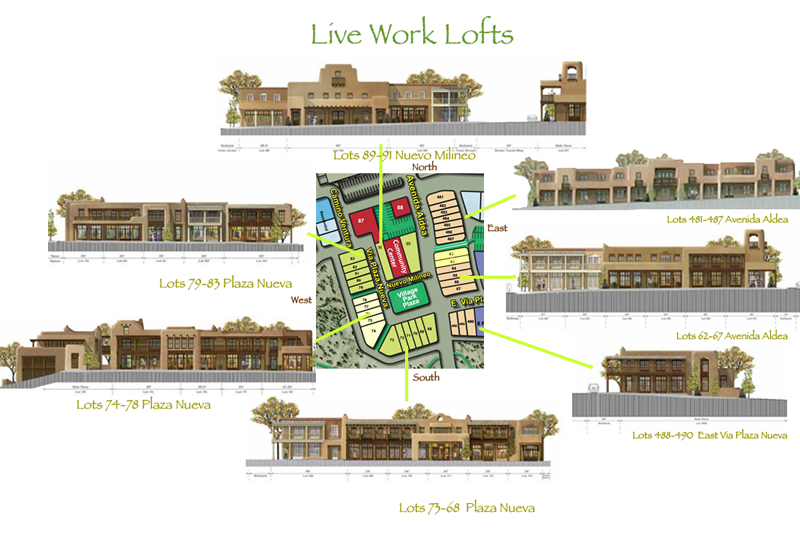 Each Live/Work Loft includes top floor residential spaces above the plaza and alley level commercial spaces. Framing the west side of Aldea’s plaza these Live/Work Lofts offer storefronts with a premiere commercial location. 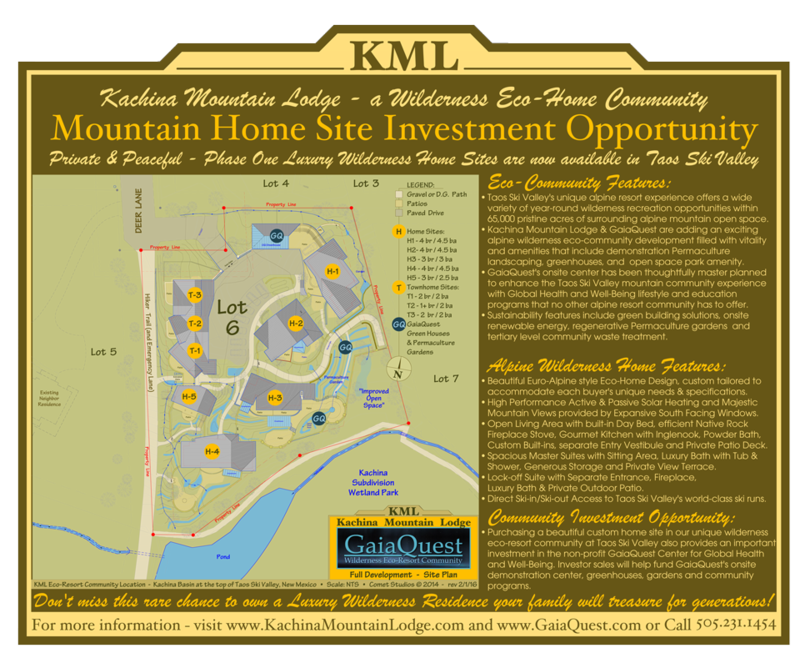 SOLD: Priced Below Replacement Cost & Get the Land Free! Experience luxury Live/Work Loft lifestyle in the spirit of old Santa Fe at the only mixed-use New Urbanist village on Santa Fe’s prestigious northwest side. Enjoy Santa Fe pueblo style architecture and a premiere commercial plaza level storefront framing the west side of the quaint civic village plaza at Aldea de Santa Fe. Savor panoramic views of the Santa Fe ski basin to the east, Sandia Mountains to the South and Jemez Mountains to the west. Penthouse residential 3rd floor offers 2 master suites, granite counter tops, kitchen pantry, plaster walls, vigas ceilings, brick floors, whirlpool tub, 2 wood burning fireplaces, large patio terrace and a covered deck overlooking the plaza. Illuminated with east, south and west light, the large commercial plaza level offers a traditional storefront portal, brick floors, high ceilings, wood burning fireplace, south deck and state-of-the-art cable or fiber optic ethernet connectivity. 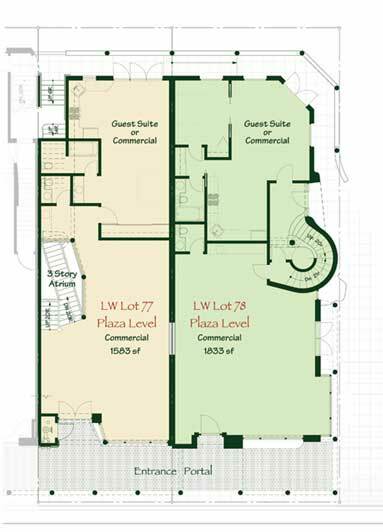 Heated mixed-use alley level offers a 2 car garage plus workshop, studio &/or living area potential. Loft 16, 1000 Pennsylvania Ave. 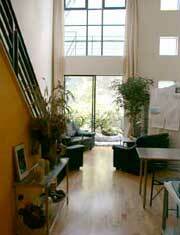 Light-filled and spacious, this 3 level, top floor, corner loft is an oasis in the midst of the bustling city. This quality- constructed loft offers flexible and functional spaces with a living level, mezzanine level, and lower level, 3 full baths, 2 fireplaces, 2 separate entrances with high-end loft style finishes. Loft #16 attributes include: dramatic volume, an open and dynamic floor plan that can be easily customized, large open lower level (which can be used as a second and third bedroom, media room or office), cross-ventilation, soaring ceilings with a architectural window wall spreading natural light throughout. Conveniently located in the heart of the SOMA neighborhood, the 7th and Howard Street loft building is a prominent architectural addition to the San Francisco live/work loft culture. Minutes from downtown, Yerba Buena Gardens, Sony Metreon, Moscone Center, the Giants PacBell Park and fabulous restaurants all within walking distance, typifies loft style living at it’s best. 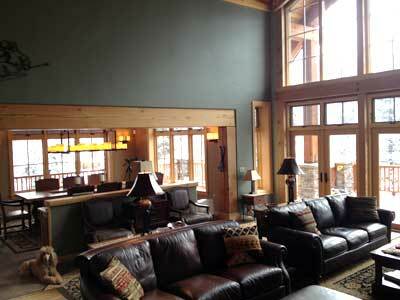 Serene, private with sunny patio terrace, 2 floor mezzanine loft, 1068 sq. ft. including patio. A remodeled home at the Sea Ranch has expansive blue and white water ocean views looking west and south all the way to Black Point. Located in the highly coveted sunny meadow of Unit 21, just 2,000 feet from the bluff top trails, you can stroll to the recreation center to the south, wander down the stairs to Stengel Beach, explore the tide pools to the north or hike in the redwood forests to the east. Quiet and private at the end of a cal-du-sac, on a fan shaped lot surrounded by commons, this special setting offers accessibility to all the best that The Sea Ranch offers: Ocean views, meadow vistas and a forested hillside backdrop. Constructed at Sea Ranch, the celebrated development located 150 miles north of San Francisco in Sonoma County, this house is a study in judicious planning. The house was designed to include a separate art studio and guest area. 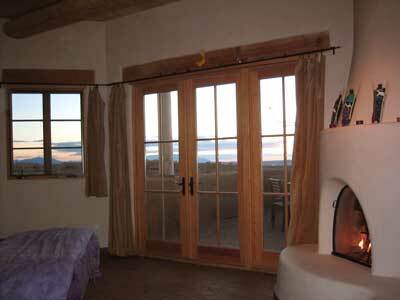 The “house” is actually two separate structures: a 1,250-sq.-ft. house and a 1,460-sq.-ft. studio. An industrial aesthetic-playing off against the rustic simplicity of walls and ceiling-governed the selection of key interior materials and finishes, from hand-cast concrete countertops and stainless steel fixtures to the patterned vinyl, slat tile, and painted concrete floors. Designed in collaboration with architect Donlyn Lyndon and Dianne McKenzie . Serving client mostly in California, Colorado and New Mexico!